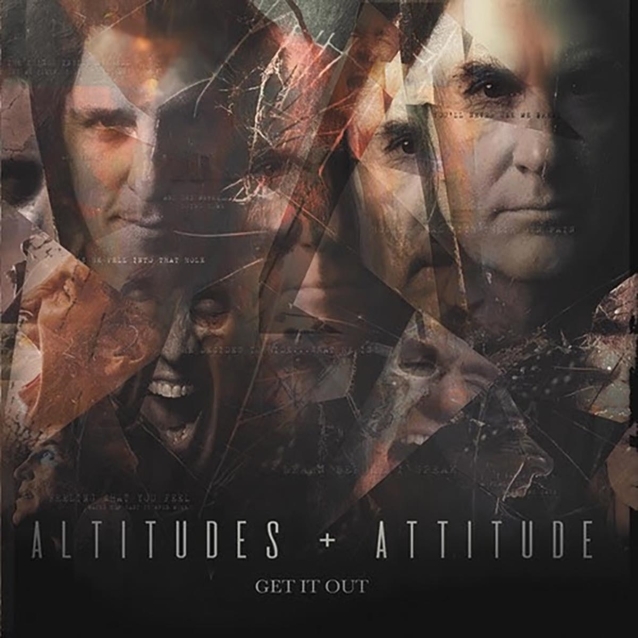 ALTITUDES & ATTITUDE, the collaboration between ANTHRAX's Frank Bello and MEGADETH's David Ellefson — two virtuosic bass players who've anchored some of the fiercest thrash records of all time — has released the official music video for the song "Part Of Me". 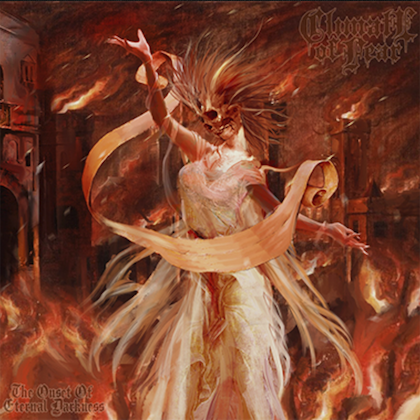 The track, which features a guest appearance by ALICE COOPER guitarist Nita Strauss, is taken from ALTITUDES & ATTITUDE's debut album, "Get It Out". 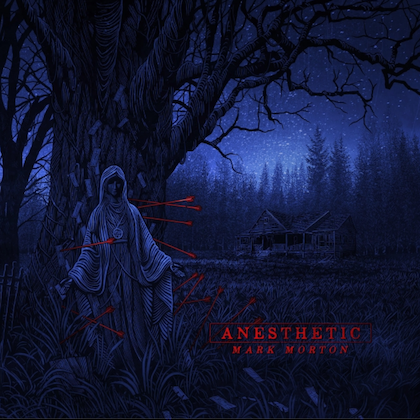 Released on January 18 via Megaforce, the follow-up to ALTITUDES & ATTITUDE's 2014 self-titled EP was once again produced by Jay Ruston (ANTHRAX, STEEL PANTHER, STONE SOUR), with Jeff Friedl (A PERFECT CIRCLE, ASHES DIVIDE) returning behind the kit. Ellefson says about the song: "The heavier stuff is usually the stuff that I bring in, which I think gives the album nice color… It was originally a guitar idea that I had, but then we had an eight-string bass in the studio, and I plugged it into a Kemper [amp], and I started writing a lot of bits and parts for 'Part Of Me'… Frank helped me finish up the lyric idea… and it became that song." Bello adds: "David came up with a great musical piece for 'Part Of Me'… The lyrics [are about] being in a place where you want to express yourself, whatever that may be in your life. If you always wanted to do something, don't be held down by anything … I certainly have an inner anger, a part of me that I don't want to let out, but if you keep pushing me, it's going to come out … I think everybody's got that in them, but they try to keep it in, until they're pushed to the point where they can't help but get it out." The "Part Of Me" video was filmed during ALTITUDES & ATTITUDE's recent European tour with SLASH FEATURING MYLES KENNEDY AND THE CONSPIRATORS. A kind of rock 'n' roll primal-scream therapy, "Get It Out" is the result of nearly four years of writing and recording sessions — and decades of touring, searching, striving and living. "I've learned that writing songs is very cathartic," says Bello, who has long made songwriting a daily practice. When ANTHRAX is off the road, he tries out new material at open mics around New York City. "A lot of these lyrics are about the inner struggles of my life, and about the rage that has built up from my life experiences — my brother's murder; my father abandoning my family when we were young, leaving us with no funds to pay the bills," he says. "The ups and downs of life in general. I've always had an anger inside that music really helps me deal with." "The album has the perfect title," Ellefson adds. "This is music that has been living inside of us for so long. There's a big musical part of each of us that doesn't get heard anywhere else." 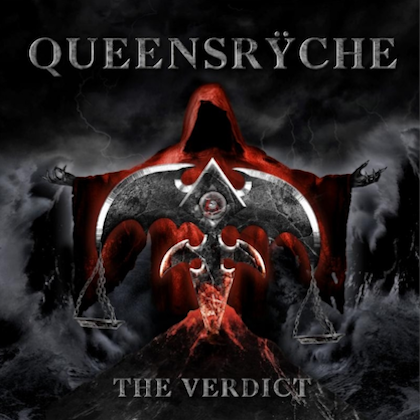 Boasting a deep bench of guest stars, including Ace Frehley (ex-KISS; the track "Late"), Gus G. (OZZY OSBOURNE, FIREWIND), Nita Strauss (ALICE COOPER), Christian Martucci (STONE SOUR) and Satchel (STEEL PANTHER), the record also represents the fulfillment of a lifelong but little-known ambition for two uniquely gifted artists. As Bello puts it, "All I ever wanted to do was write good songs. I've always been a melody guy. I love hooks; I love catchy songs with a good riff." 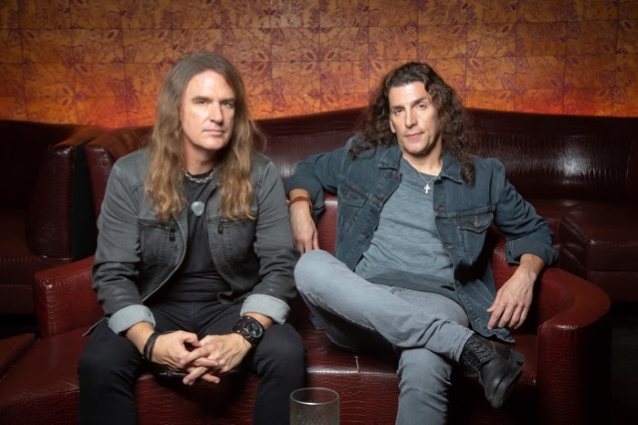 Bello and Ellefson debuted ALTITUDES & ATTITUDE in early 2014, with a self-titled three-song EP that earned the duo airplay on SiriusXM and an appearance on VH1 Classic's "That Metal Show". Those tracks — "Booze and Cigarettes", "Tell the World", "Here Again" — are included on "Get It Out" as bonus cuts, in remixed and remastered form. Ellefson explains that "ALTITUDES & ATTITUDE could have only happened at this moment in time" — when the titans of thrash metal's "Big Four" are older, wiser, kinder and more open creatively. "When you're still climbing up the hill," he says, "there's no room for friendly competition. But once you've been to the top of the hill and you've seen the view — which all of the 'Big Four' have — it's okay to break bread, hang out, have a drink." Or, in the case of ALTITUDES & ATTITUDE, delve into hard-rock songwriting in a profound way. "To hear other sides of us as artists — not just as musicians and performers, but as artists."